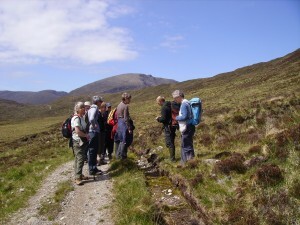 The North Harris Ranger Service was started in October 2009 and is supported by funding from Scottish Natural Heritage. 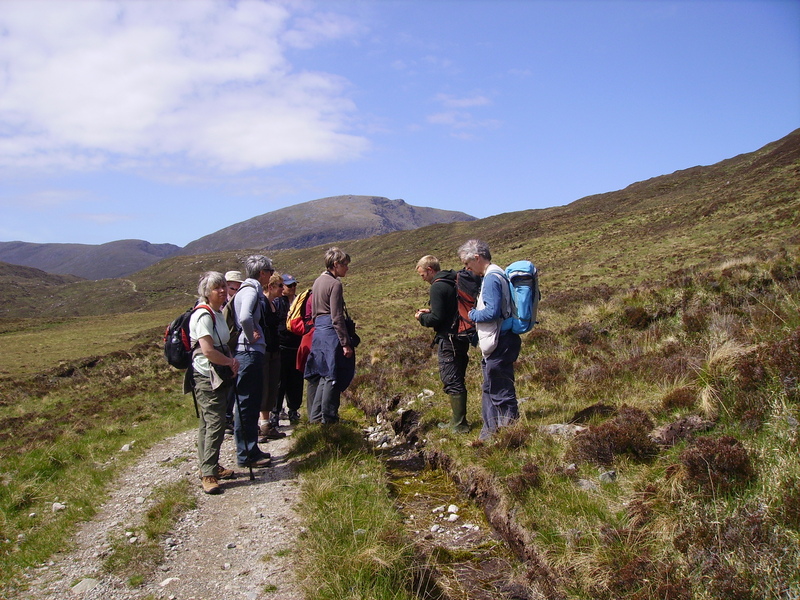 The Ranger, leads a comprehensive programme of guided walks and events from May through to October. The Guided Walks programme for the year will be advertised on this website and is available in the Tarbert Tourist Information Centre. Each year there is a monthly walk; ‘mountain of the month’. This walk showcases the finest of Harris’ mountains. The location of each walk is published on this website, Facebook and in the Tarbert Tourist Information office, the week before the start of the walk. The Ranger also works with all the Harris Schools to help foster a greater appreciation, responsibility and belonging to the local environment among young people. The Ranger service carries out surveys and monitoring of various aspects of our rich natural heritage and is also working to control invasive plant species such as Gunnera.